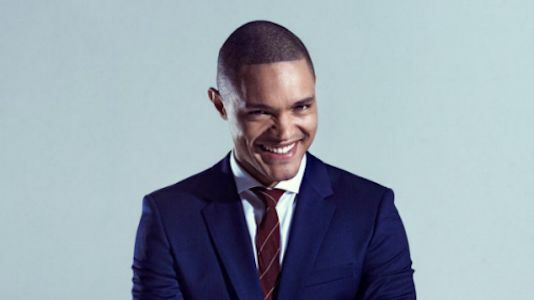 Trevor Noah has been selected to become the next host of the Emmy(R) and Peabody(R) Award-winning The Daily Show. His show's premiere will be announced at a later date. Noah (www.trevornoah.com) joined The Daily Show with Jon Stewart in 2014 as a contributor. He made his U.S. television debut in 2012 on The Tonight Show with Jay Leno and has also appeared on Late Show with David Letterman, becoming the first South African stand-up comedian to appear on either late night show. Born in South Africa to a black South African mother and a white European father, he has successfully become the top comedian in Africa. Noah has hosted numerous television shows including his own late night talk show in his native country, Tonight with Trevor Noah. The comedian is 31. Jon Stewart's late date has yet to be announced yet. Stay tuned. ABC Family has picked up its first scripted saga-to-series, Shadowhunters, from The Mortal Instruments franchise. The series will go into production this May in Toronto. Based on the bestselling young adult fantasy book series The Mortal Instruments by Cassandra Clare, Shadowhunters follows 18-year-old Clary Fray, who finds out on her birthday that she is not who she thinks she is but rather comes from a long line of Shadowhunters - human-angel hybrids who hunt down demons. When her mother Jocelyn is kidnapped, Clary is thrown into the world of demon hunting with mysterious Shadowhunter Jace and her best friend, Simon. Now living among faeries, warlocks, vampires and werewolves, Clary begins a journey of self-discovery as she learns more about her past and what her future may hold. Cast to be announced at a later date. And also stay tuned for a premiere date at a later date. Weird Loners is a new single-camera comedy about four relationship-challenged mid-30-somethings who are unexpectedly thrust into one another’s lives, forming unlikely bonds in a Queens, NY, townhouse. Starring Becki Newton (Ugly Betty), Zachary Knighton (Happy Endings), Nate Torrence (Hello Ladies) and newcomer Meera Rohit Kumbhani, the series explores the lives of these underdogs who, each for his/her own distinct reasons, are solo singles when most of their peers are well along the path of marriage and family. Becki Newton (Caryn) is best known for her role as Amanda Tanen on the award-winning comedy Ugly Betty. She starred as Chloe Goodwin in Fox's The Goodwin Games in 2013. She had a recurring role as Barney's love interest, Quinn Garvey, on How I Met Your Mother. In 2011, she starred in the NBC anthology series Love Bites. Zachary Knighton (Stosh) starred as Dave Rose in the critically acclaimed comedy Happy Endings. His first series regular role was on Fox's Life on a Stick in 2005. He starred as Dr. Bryce Varley in the sci-fi thriller FlashForward. Some of his other television roles include Parentood, Wilfred, House, Bones, It's Always Sunny in Philadelphia and Law & Order. Nate Torrence (Eric) played Wade Bailey on HBO's Hello Ladies. He had a recurring roles as Roman Cohen in Mr. Sunshine and as James on Super Fun Night. Some of his other television guest appearances include CSI: Crime Scene Investigation, Malcolm in the Middle, How I Met Your Mother, Las Vegas, Brooklyn Nine-Nine, House M.D. and Ghost Whisperer. Meera Rohit Kumbhani (Zara) makes her network debut as a series regular in Weird Loners. She has worked regularly in regional and off-Broadway theater, including the world premiere of Pulitzer Prize winner Ayad Akhtar’s The Who & the What..
We watched three episodes for review. This review will be based on these episodes. Find out what happens when a high-strung romantic, a serial womanizer, a free-spirited heartbreaker and a sheltered man-child are unexpectedly thrust into a Queens, NY, townhouse. 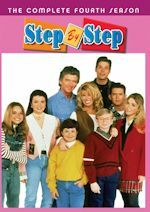 At the insistence of her mother (guest star Susie Essman), Caryn travels to Florida to tell her grandmother (guest star Renee Taylor) the truth about having broken off her wedding engagement. Once there, she cannot bring herself to do it and comes up with another plan. Meanwhile, to help Eric cope with losing his father, Zara pretends to communicate with him from beyond the grave. Caryn and Zara are impressed and grateful that Stosh continues to show up with bags full of groceries to cook meals for them, Eric and himself. That is, until the women discover that he’s been cooking food the he has stolen from their kitchen. Meanwhile, Stosh owes money to a bookie and skims some of the money off of what Eric gave him to purchase a brand new television. Guest Cast: Matt Besser as Toll Taker Kent, Jason Antoon as CooKoo Schmoolie, Toy Lei as Toll Taker Bev, Duane Shepard Sr. as Toll Taker Jimmy, Abhi Trivedi as Toll Taker Vijay, Rebecca Drysdale as Toll Taker Miranda, Eric Nigg as Toll Taker Mario, Shari Albert as Susan Quinlan, Ervin Ross as Driver, Jay Onrait as himself and Dan O'Toole as himself. Weird Loners is produced by 20th Century Fox Television. The series is from writer Michael J. Weithorn (co-creator of The King of Queens) and director Jake Kasdan (New Girl). It was created by Weithorn. Weithorn, Kasdan and Melvin Mar (New Girl) serve as executive producers. The pilot episode was directed by Kasdan. In "Weird Pilot," we are introduced to the four main characters. Caryn Goldfarb is a 37-year-old dental hygenist who is a bit high-strung. She desperately wants to be in love, but thwarts it at every pass. Stosh Lewandowski is a 36-year-old sales rep. He is weirdly self-centered. He hasn't had an intimate connection with anybody. Zara Sandhu is a 33-year-old free-spirited artist. She is unemotional and a real weirdo. Eric Lewandowski is Stosh's 34-year-old cousin who works as a toll collector. He has a sincerity and an in your face approach to life. The pilot episode is fast-paced and provides the necessary introduction and background on the characters. The opening sequence with narration where we first meet the characters was well done. Caryn goes on a singles cruise ship and has dinner with Marty. Stosh is let go from his job as a sales rep after he sleeps with his boss' fiancée. Zara moves out of her boyfriend's apartment. Eric watches a Mets game when his father, Melvin, suddenly passes away. After Stosh is evicted from his apartment, he attends Melvin's funeral and offers to stay with Eric. Eric meets Caryn for the first time when she cooks dinner for an engagement party for her fiancé, Howard, and sets off the fire alarm. Caryn must decide on her future with Howard. There is a nice mix of comedy, drama and heartwarming moments in the first three episodes. The scene where the group is sitting on a bench and lip-reading a couple's wedding vows is very funny. Highlights in the second episode include a montage scene where Zara and Eric hang out and when Stosh and Caryn dance. There are some funny moments and lines with Eric's co-workers in the third episode. The cast includes three comedy veterans and one newcomer. Becki Newton played a fun character in Ugly Betty. She plays another intense and likable character here. Zachary Knighton's character Stosh is a bit of a dirtbag, but he has good intentions at heart. Nate Torrence is an actor who seems to pop into everything and brings the funny, especially with his sock puppets. Meera Rohit Kumbhani is a newcomer to television. She really holds her own here with some seasoned actors. She's somebody who should have a promising future. Curb Your Enthusiasm veteran Susie Essman, who plays Caryn's mother, has some funny lines talking to her on the phone. This has been the year of the romantic comedy, but this is an un-romantic comedy. Weird Loners isn't groundbreaking, outrageously funny or gimmicky with narration and flashback scenes. It's a character-driven comedy with some likable people. These underdog characters are relatable and easy to root for. They are people you would like to know better. The cast already has some solid chemistry in the first three episodes. 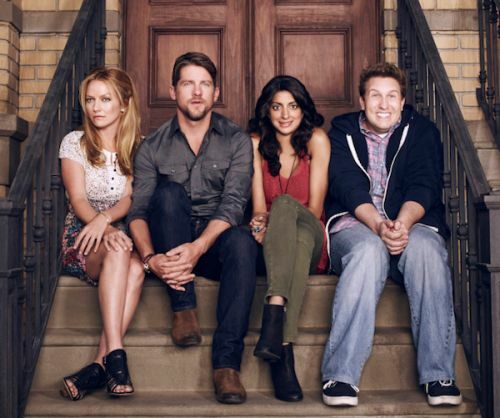 It's nice to see comedy veterans Becki Newton and Zachary Knighton as regulars in another series. Meera Rohit Kumbhani's Zara character is unique on television and a breath of fresh air. Weird Loners is enjoyable and worth watching. It has a similar feel to New Girl and Happy Endings, which I thought was underrated. The timeslot after New Girl appears to be a good fit. Fox has only produced six episodes, so there won't be much time to develop an audience. With their strong dramas and returning comedies, there doesn't appear to be much room for it in the fall. It could surprise and be brought back for a limited run, though. 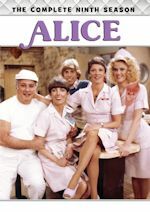 If you're a fan of the actors or comedies with some quirky characters, give the show a chance and enjoy it while it's on the air for the next six weeks. Discuss the show after you watch it on Tuesday, March 31, 2015 at 9:30PM ET/PT on our message board. 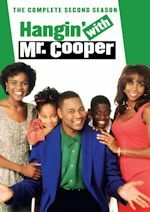 NBC has set Wednesday, Aug. 5 for a new hour-long block of comedies as single-camera comedy Mr. Robinson will premiere at 9pm immediately followed by the multi-camera sitcom The Carmichael Show at 9:30pm. In addition, new summer alternative series The Island" (May 25) will immediately follow American Ninja Warrior on Mondays at 10 while I Can Do That (May 26) will have America's Got Talent as its Tuesday lead-in at 10. Returning reality series Food Fighters (Thursday, July 2 8pm), Hollywood Game Night (Tuesday, July 7 at 10), Running Wild with Bear Grylls (Monday, July 13 at 10) and Last Comic Standing (Wednesday, July 22 9-11pm), as well as second-year comedy Welcome to Sweden (Sunday, July 19 8pm), will all come back for new seasons on NBC, which has won the last four summers in the 18-49 demo. Back to the new comedies, Mr. Robinson synopsis: as a lead singer and keyboardist of the funk band Nasty Delicious, Craig (Craig Robinson, The Office) knows a thing or two about working the crowd, but his day job is where he really makes the grade. Every struggling artist knows the drill: You've got to pay the bills while you wait for that big break. So when Craig finds himself short on cash, he takes a job as a substitute high school music teacher. It's an easy gig, right? The school principal (Peri Gilpin, Frasier) believes that rules were made to be strictly upheld. She's none too fond of Craig's unorthodox teaching style, or his crush on the pretty English teacher (recurring guest star Meagan Good, Think Like a Man). It's a constant struggle for Craig, having one foot in the music world with his band, Nasty Delicious, and one foot in the teaching world. But if Craig wants to get the girl of his dreams and teach these kids the joys of music, he'll have to buckle down, shape up and get the funk out. As for The Carmichael Show, from the comedy of Jerrod Carmichael and Nick Stoller (Neighbors) comes an irreverent sitcom inspired by Jerrod's relationships with his say-anything, contrarian father, his therapist-in training girlfriend, his ever-hustling brother, and his mother who is always, always, always right with Jesus. 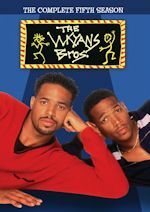 The sitcom also stars David Alan Grier and Loretta Devine as Jerrod's father and mother, along with Amber Stevens West as the girlfriend Maxine. These newly released premiere dates join previously announced starts for American Ninja Warrior on Monday, May 25 from 8-10pm; America's Got Talent on Tuesday, May 26 from 8-10pm; Aquarius on Thursday, May 28 from 9-11pm and continuing from 9-10 starting Thursday, June 4; and Hannibal on Thursday, June 4 at 10pm. Total Viewers: #1. CBS 9.848 million (+27% from first four nights week 26); #2. ABC 7.438 million (+4%); #3. NBC 7.201 million (-2%); #4. Fox 4.956 million (-36%); #5. The CW 1.554 million (-19%). We have the final ratings for Week 26 (3/16/15-3/22/15 LIVE+SD). Among Adults 18-49, Fox won the week with a 1.78 rating, boosted by the Empire finale. Then we had CBS at 1.53, followed by NBC at a 1.38, while ABC trailed with a 1.35. For Total Viewers, CBS was first with 7.219 million, followed by ABC with 6.251 million, then it was NBC's 6.063 million and Fox trailed with 5.327 million. For season to-date (9/22/14-3/26/15 LIVE+SD), among Adults 18-49 we have NBC on top with a 2.21 rating, followed by CBS with a 1.86, Fox is third with a 1.67 and ABC with a 1.64. In Total Viewers, it is CBS on top with 9.621 million, then NBC with 7.962 million, ABC is next with 6.433 million and Fox with 5.175 million.